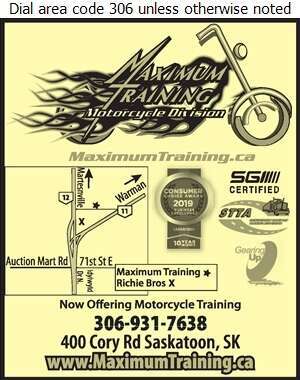 Maximum Training is a leader in its industry here in Saskatchewan. We are a winner of the 2010 - 2019 Consumer Choice award in Business Excellence, proving our desire to be the best. We specialize in training you for actual scenarios, allowing you to achieve your true potential. At Maximum Training Motorcycle Division, we are proud to provide the Gearing Up Program. This program has been developed by the Canada Safety Council and is tried and proven for over 38 years. Safety Training is becoming more important as industry regulations increase. Maximum Training provides all aspects of safety training for oil & gas. 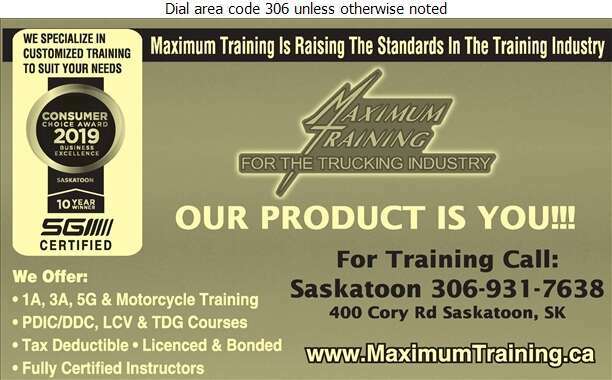 Maximum Training is focused on being the industry standard in training, whether it is Trucking, Motorcycle or Safety.